This is the most basic form of maintenance but it is also one of the most crucial. You need to set aside time every week (or as often as possible) to sweep your tennis court. This is to get rid of detritus and biological matter such as leaves that may have fallen onto the surface. 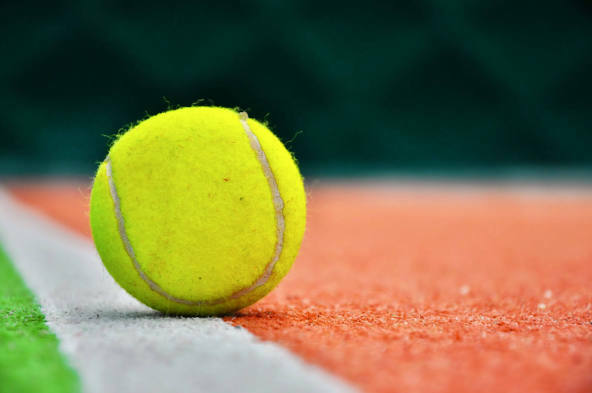 Any kind of debris that gets on the court including rubbish, pine needles or moss can cause discolouration or encourage deterioration of the surface. One of the worst things for a tennis court is if acidic substances are left on the surface. When acidic substances are allowed to remain on the court they will begin to eat into the material which will cause serious problems over time. So if you do notice anything acidic on the surface such as food and drink spillages or bird droppings it is vital that you should clean them up as soon as possible. Simply brushing is not enough. It is also worth noting that any puddles from rain can have the same effect, so these should be cleared from the surface as soon as possible and not left to drain. It is also important that the court should be jet washed fairly regularly – around once every 12 to 18 months depending on how regularly you use the court. It can also be affected by whether the court is surrounded by trees which would potentially mean more bird droppings and leaves. Power washing removes the biological matter build-up such as moss and mould.